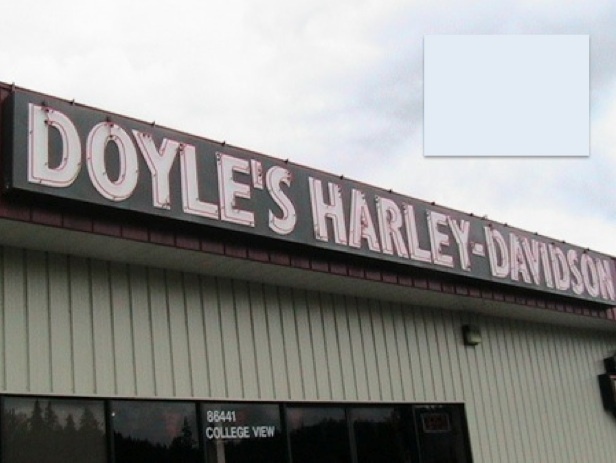 A long time ago… back in 2010, Victoria Doyle, who along with her husband Mike owned Doyle’s Harley-Davidson in Eugene, Oregon (aka Duck Country). They had recently closed their store in Roseburg because of the economy and were in a meeting at the Oregon Election Station talking about the impact to their Harley-Davidson business if Measures 66 and 67 passed. You remember those “tax fairness” measures, right? It was a special election where the public employee unions spent millions on “yes” campaigns to raise taxes on what they deemed were the wealthy. Unlike previous failed tax measures, 66 and 67 was positioned to pit the financially challenge against the wealthy. The wealthy should pay even more tax because there was a need to fix the broken tax system and funding structure in the state – it was portrayed as a “fairness issue” which resonated with many who were un/under-employed at the time because it would not affect them. In the meeting hall, Victoria Doyle boldly stated “we’ll either lay people off or raise prices.” At the same time, H-D corporate was pressuring Doyle’s to upgrade the building of which they didn’t own to come more in line with their other dealer “mega stores.” All this pressure had to create anxiety for the owners on whether the business could remain profitable given the weak sales environment. Jump ahead a couple years and the dealership was sold last month to George Latus of Latus Motors. On my recent trip to the Street Vibrations we rode past the dealer and noticed the temporary Latus signs on the building. As we rolled by on I-5 I was reminiscing about my Road Glide purchase from Mark Doyle last August. He and his wife Janie were absolutely a joy to work with and Melody McCauley made signing the paperwork quick and easy. This would have been Doyle’s 18th year anniversary celebration and I’m sure it was a difficult decision to sell the business. There was a part of me that was sad for the Doyle’s, but I’m sure the new owner will do right in Eugene. Back in the 80’s Mr. Latus was a motorcycle mechanic and Harley-Davidson had suffered a very bad decade. It was an era when you could waltz in from Montana and open a dealership in Spokane and then later in Portland/Gladstone with relative ease. 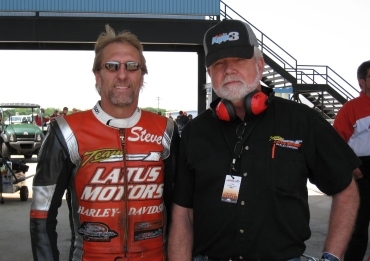 Mr. Latus is heavily involved in various racing activities from sponsorship of racers on the AMA Flat Track series and is the primary sponsor of Steve Dorn, Top Fuel racer for the All Harley Drag Racing series. He is passionate about motorcycles and has established a good reputation with customers in all his dealerships. I wish the Doyle’s the best of luck and much success in whatever they decide to pursue. Photo courtesy Shetech/Flickr, and Latus Motors.